The “pro-democracy” rebels are led by Al Qaeda paramilitary brigades under the supervision of NATO Special Forces. 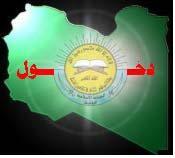 The “Liberation” of Tripoli was carried out by “former” members of the Libya Islamic Fighting Group (LIFG). The jihadists and NATO work hand in glove. These “former” Al Qaeda affiliated brigades constitute the backbone of the “pro-democracy” rebellion. NATO special forces with “boots and the ground” pass unnoticed. Their identity is not known or revealed. They blend into the Libyan rebellion landscape of machine guns and pickup trucks. They are not highlighted in the photo ops. Special forces composed of US Navy SEALS, British Special SAS Forces and French legionnaires, disguised in civilian rebel garb, are reported to be behind major operations directed against key government buildings including Gadhafi’s Bab al-Aziziya compound in central Tripoli. NATO special forces and the CIA sponsored Islamic brigades under the command of “former” jihadists constitute the backbone of combat capabilities on the ground, supported by the air campaign, which now includes Apache helicopter raids. The remainder of the rebel forces include untrained trigger happy gunmen (including teenagers) (see photo below), which serve the function of creating an atmosphere of panic and intimidation. What we are dealing with is a carefully planned military intelligence operation to invade and occupy a sovereign country. The Western media constitutes a major instrument of war. NATO war crimes are obfuscated. Popular resistance to the NATO led invasion is not mentioned. A narrative of “liberation” and “opposition pro-democracy rebel forces” is instilled in the inner consciousness of millions of people. Its called the “NATO Consensus”. “The NATO Consensus” which upholds the “humanitarian mandate” of the Atlantic alliance cannot be challenged. The bombings of civilian areas as well as the role of a terrorist militia are either trivialised or not mentioned. Killing the truth is an integral part of the military agenda. Its an inquisitorial doctrine. The NATO consensus dwarfs the Spanish Inquisition by a long shot. The criminal invasion and occupation of Libya is not mentioned. The lives of independent journalists in Tripoli who report on what is actually happening are threatened. The catch words are “Liberation” and “Revolution” with NATO’s mandate limited to R2P (“Responsibility to Protect”). Liberation or Invasion? By camouflaging the nature of the military operation, not to mention NATO atrocities, the Western media has contributed to providing the Transitional Council with a semblance of legitimacy and international recognition. The latter would not have been forthcoming without the support of the Western media. NATO special forces and intelligence operatives on the ground are in permanent liaison with military planners involved in coordinating NATO strike sorties and bombing raids on the Libyan capital. Towards a World War III Scenario. On August 27, NATO acknowledged the conduct of 20,633 sorties since March 31st, and 7,768 strike sorties. (These figures do not include the intensive bombing raids conducted in the two weeks prior to March 31st). 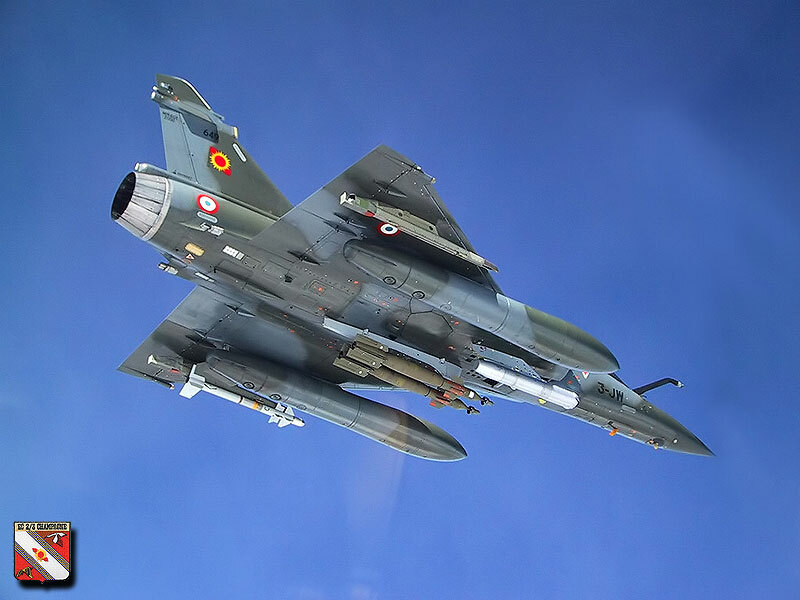 Each fighter jet or bomber carries numerous missiles, rockets, etc. depending on the ordnance specification of the aircraft. Pursuant to NATO’s humanitarian mandate, we are informed by the media that these tens of thousands of strikes have not resulted in civilian casualties (with the exception of occasional “collateral damage”). The bombing raids over Tripoli were intensified in the course of the last two weeks. They were intended to support ground operations led by NATO special forces and the Islamic paramilitary brigades. With limited NATO ground force capabilities, NATO strategists decided to intensify the bombing raids. “Until approximately 2:35 a.m EET [July 17], the strident noises of fighter jets over Tripoli could be heard. The bomb blasts triggered an atmosphere of fear and panic over the entire city, a poignant psychological and emotional impact on tens of thousands of people, from the young to the elderly. It also alerted people and brought them out onto their balconies while they witnessed the bombing of their country. One of the explosions resulted in a huge mushroom cloud, pointing to the possible use of bunker buster bombs. … There was something unusual in the pattern of this NATO bombing operation. The bombings tonight were not like other nights. The sounds were different. The smoke plumes were different. In previous bombings the smoke would usually go up vertically like a fire, but tonight the smoke plumes were horizontal and hovering above Tripoli with a white cloud in the horizon. The mass killing of civilians in a Blitzkrieg environment as well as the creation of a generalized atmosphere of panic is intended to curtail the population’s resistance to the NATO-led invasion. According to sources from our correspondent in Tripoli, the death toll in the course of the last week (20-26 August) is of the order of 3000. The hospitals are in a state of turmoil, unable to come to the rescue of the wounded. The International Committee of the Red Cross (ICRC) confirms that medical supplies are in short supply throughout the country. In recent developments UNICEF has warned of shortages of water due to the NATO bombing of water infrastructure throughout the country. “This could turn into an unprecedented health epidemic “ said Christian Balslev-Olesen of UNICEF’s Libya Office. We are not dealing with collateral damage. Extensive war crimes have been committed. NATO has blood on its hands. The heads of government and heads of state of NATO member countries are war criminals. According to CNN, in a twisted logic, the terrorists have repented: “former terrorists” are no longer “terrorists”. The LIFG is said to have been disbanded. In a contradictory about turn, former “bad guys” (terrorists) are heralded as “good guys” committed to “combating terrorism”. The “former” members of the Libya Islamic Fighting Group (LIFG) are now portrayed as “pro-democracy activists” who “have assumed leadership positions in several rebel brigades”. Labels have been switched: the CIA supported Al Qaeda affiliated LIFG has been transformed into the CIA sponsored Islamic Movement for Change (IMC), which supports the pro-democracy rebellion. When was the LIFG disbanded? Who Leads Libya’s Islamic Brigades? Recent reports confirm what was known and documented from the outset of the “rebellion” in mid-March: The key military command positions of the rebellion are held by the “former” commanders of the Libya Islamic fighting Group (LIFG)”. But Saddeeq, according to CNN has repented. He is no longer a terrorist (i.e. a “bad guy”) “but a powerful voice against Al Qaeda’s terrorism”. (Ibid, emphasis added). Former Al Qaeda commander committed to fighting Al Qaada? “In 2009, Sadeeq and other senior LIFG leaders formally repudiated al Qaeda style terrorism and disbanded their campaign to overthrow the Libyan regime. According to DebkaFile (Israeli intelligence online report), the “pro-Al Qaeda brigades” led by LIFG Commander Abdel Hakim Belhadj constitute the dominant force of the rebellion, overriding the authority of the Transitional Council. They are in control of strategic buildings including Gadhafi’s compound. Reports also confirm that large numbers of terrorists imprisoned in Abu Salim jail were released by rebel forces. They are now being recruited by the former LIFG Islamic brigades, led by “former” jihadists pro-democracy commanders. So all ends well in the smooth transition towards a democracy run by terrorists. The NATO led invasion and occupation of Libya is using Islamic fighters as the backbone of an alleged transition to democracy. The tragic events of 9/11 have played a key role in developing a massive propaganda campaign geared towards justifying a “war on terrorism” directed against Osama bin Laden’s Al Qaeda. In a bitter twist, throughout the Middle East and Central Asia, the Western military alliance is using Islamic brigades, trained and groomed by the CIA, MI6 and Mossad, to wage its “Global War on Terrorism”. The war on terrorism constitutes a broad consensus instilled in the minds of millions of people, What is not known to Western public opinion is that the West’s holy crusade against Islamic terrorism rather than targeting terrorists actually includes terrorists in his ranks, i.e Al Qaeda “freedom fighters” have been integrated into the ranks of US-NATO led military operations. Rest assured, in the case of Libya, the rebels are “the good guys”: they are “former” rather than “active” members of Al Qaeda. The Western media has not reported on NATO war crimes. It has casually dismissed NATO atrocities: 8000 strike sorties represents more than 50,000 missiles and bombs dropped on the Libyan people. There are various ways of concealing the truth. From the outset of the air campaign, the media has denied the existence of a war. Its causes and consequences are distorted. In turn, an effective propaganda campaign requires targeting people’s mindset in newspapers, network TV and online. Not included in the journalist’s “to do list” is the coverage of the three thousand men, women and children who lost their lives in the course of a weeklong Blitzkrieg bombing of Tripoli using the most advanced weapons systems in human history. Against this background of lies and fabrications, the lives of several independent journalists including Global Research’s Correspondent Mahdi Darius Nazemroaya trapped in Tripoli were threatened, for saying the truth. The Libya Islamic Fighting Group was listed until June 10th as a terrorist organization. The United Nations Security Council, confirmed that the LIFG is bona fide terrorist: organization. (The LIFG Listing is on p. 70, http://www.un.org/sc/committees/1267/pdf/consolidatedlist.pdf, (accessed April 3, 2011) Under the UNSC rules disbanded terrorist organizations are removed from the list in conformity with a delisting procedure. The LIFG has not been removed from the list). United Nations Security Council: Consolidated List established and maintained by the 1267 Committee with respect to Al-Qaida, Usama bin Laden, and the Taliban and other individuals, groups, undertakings and entities associated with them (updated March 24, 2011). On 17 June 2011, the Security Council unanimously adopted resolutions 1988 (2011) and 1989 (2011) as successor resolutions to resolution 1904 (2009). By adopting these resolutions, the Security Council decided to split the Al-Qaida and Taliban sanctions regime. Resolution 1989 (2011) stipulates that the sanctions list maintained by the Security Council Committee established pursuant to resolution 1267 (1999) will henceforth be known as the “Al-Qaida Sanctions List” and include only names of those individuals, groups, undertakings and entities associated with Al-Qaida. Pursuant to these decisions by the Security Council, this website is in the process of being updated. In this interim period, any remaining references to the Consolidated List on this website should be considered as references to the Al-Qaida Sanctions List. Michel Chossudovsky is an award-winning author, Professor of Economics (Emeritus) at the University of Ottawa and Director of the Centre for Research on Globalization (CRG). He is the author of The Globalization of Poverty and The New World Order (2003) and America’s “War on Terrorism” (2005). 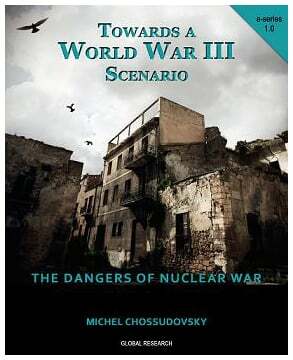 His latest book is entitled Towards a World War Three Scenario, The Dangers of Nuclear War (2011). Michel Chossudovsky spent over a month in Syria in January-February 2011. Tables, color photographs, maps, text boxes. Active hyperlinks to major references in the text, hyperlinked footnotes. OR receive this book FREE with your Global Research Annual Membership! Click to learn more. Nuclear Weapons against Libya? How Real is the Threat?